The Bank Bar & Grill is a brand new town centre eatery located between the Town Hall and The Grand Theatre on Corporation Street. Open daily from 11:00 - 23:00, The Bank offers a wide selection of brunch and evening dining options along with a full range of cocktails and extensive gin bar, yum! You can relax in a modern environment with both indoor and outdoor seating available, which makes it the perfect spot to meet friends for dinner, go for a date, take the family out to celebrate or simply somewhere to lunch or sip a cocktail after a heavy day shopping! 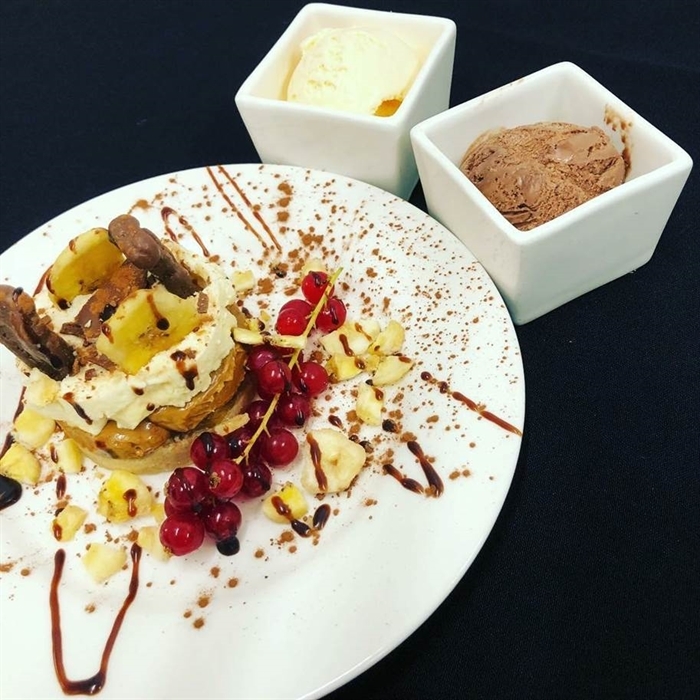 In addition to our standard menu we are able to cater for all dietary requirements and are happy to accommodate those with any allergen intolerances. A private area for parties can be booked in advance and set menu’s for parties and events can be provided. Children are welcome with families and hi-chair facilities are available.